Susan practices in all areas of family law; both public and private proceedings. Her practice takes her to courts throughout England and Wales with a base in London. 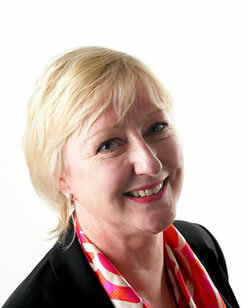 She has spent a large part of her professional life practising in the South West where she still lives, and she practices in this area through Magdalen Chambers (formerly Southernhay Chambers).She has particular expertise in cases involving injury to children, having conducted many cases relating to brain injured babies. A large part of her practice concerns the serious fact finding hearings relating to emotional harm, sexual abuse and neglect. Employed by Devon County Council for 6 years post pupillage conducting care proceedings, prosecuting trading standards offences, conducting planning enquiries and prosecuting for Dartmoor National Park Authority and DCC conducting a Boundary Commission for the authority, representing DCC at inquests, advising in relation to statutory functions of the local authority as required – highways, education care home etc., and advising on Adoption Panel. Susan pioneered a training course for social workers in relation to giving evidence within the authority. Seconded for one year as Legal Advisor to the Chief Constable of Devon and Cornwall Constabulary dealing with a wide variety of issues including civil claims and conducting disciplinary proceedings on behalf of the Chief Constable. Transferred to the independent bar in 1994 – one year of general practice including criminal work with Devon Chambers in Plymouth. Joined Southernhay Chambers in Devon in 1996 and specialised in public law. Joint Head of Chambers from 2004 until 2010. Took Silk in 2009 – joined Pump Court Chambers, London, but retains strong links with the West Country through Magdalen Chambers as Associate Member – (Southernhay Chambers merged and became Magdalen Chambers) and having lived in North Devon for nearly 12 years. Susan has been heavily involved for many years as a lecturer on Continuing Professional Development courses for lawyers and other professionals throughout the country, on behalf of Pump Court Chambers and Magdalen Chambers. Susan is regularly involved in training seminars and lecturing. She is regularly instructed on behalf of both public bodies and private individuals, and undertakes publicly funded work. Family Finance also forms an important feature of her work; for which she accepts privately paying instructions only. Somerset County Council v D and others  EWCA Civ 722  1 FLR 399 (Court of Appeal).